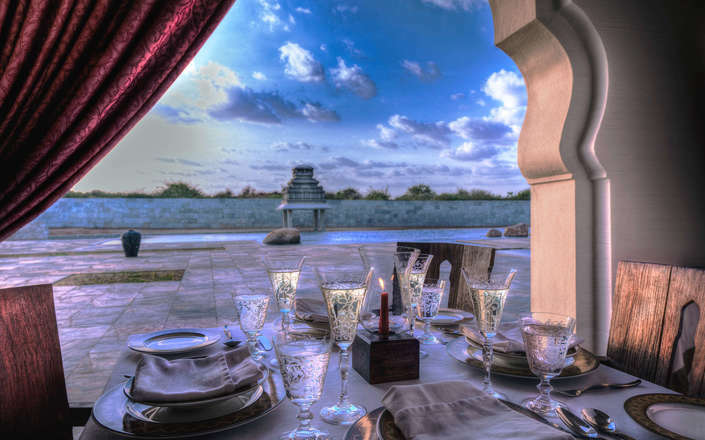 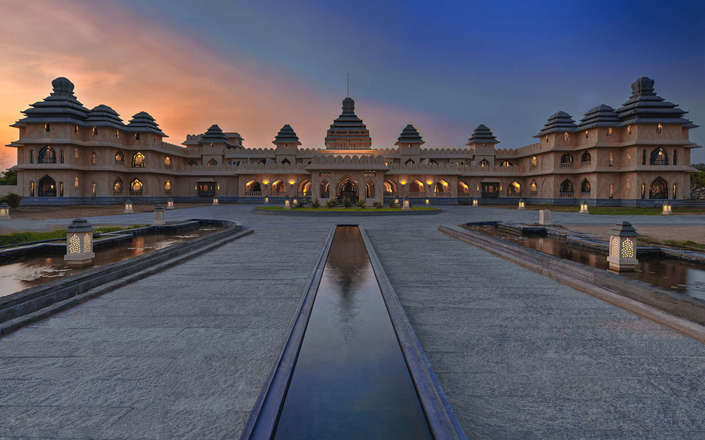 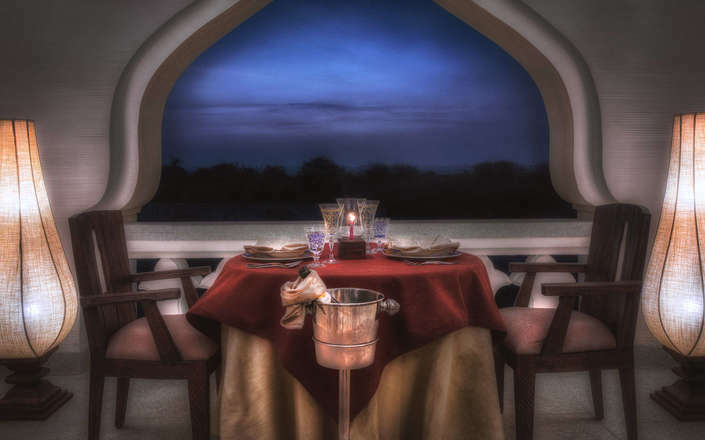 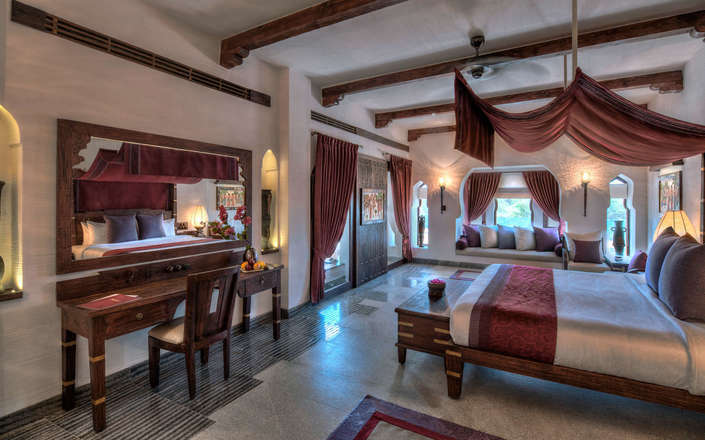 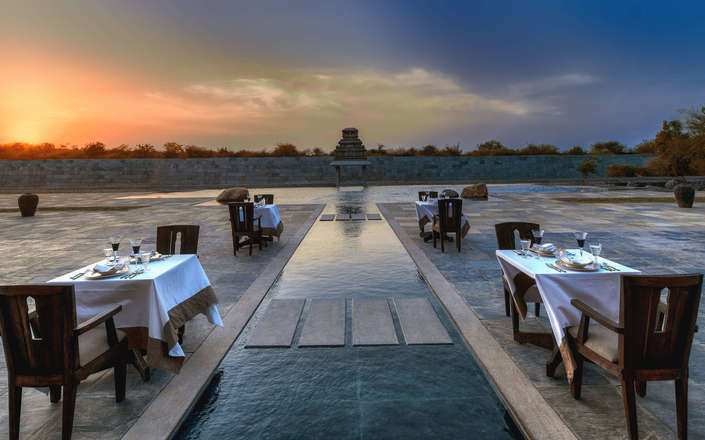 Inspired by the magnificent royal palaces, temples, and apartments built by the mighty Vijayanagara rulers at Hampi, Evolve Back Kamalapura Palace Hampi (previously Orange County Hampi) is a luxurious hotel set within lovely landscaped gardens featuring reflecting-pools and flowing fountains. 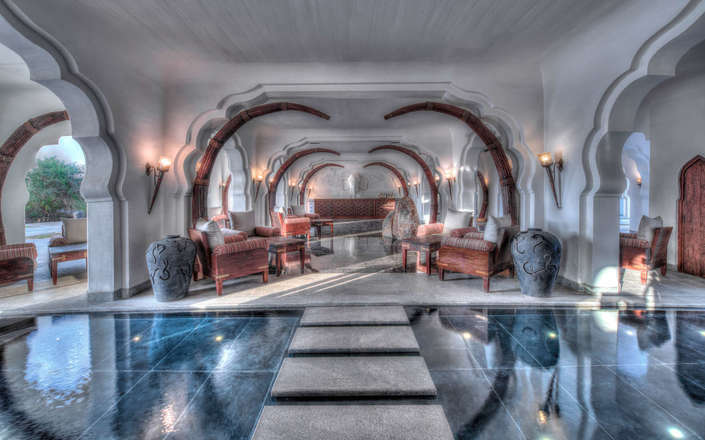 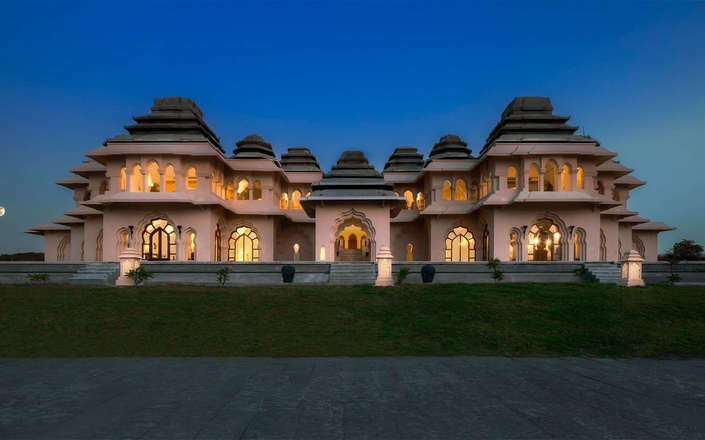 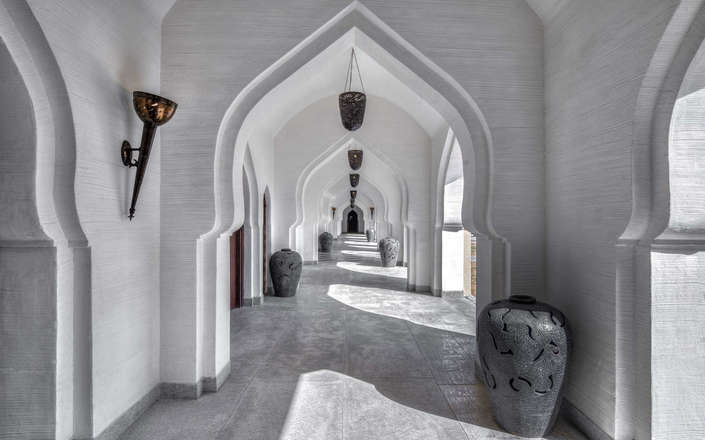 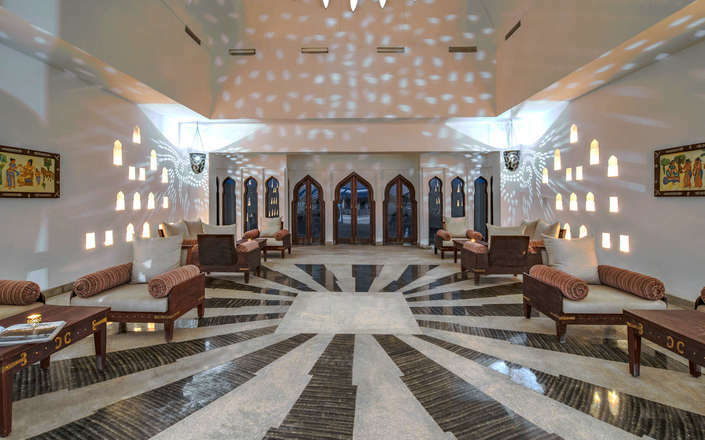 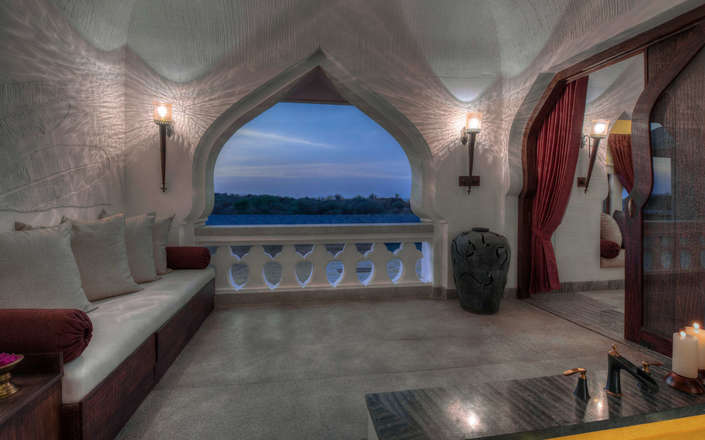 The property’s grand architecture is particularly appealing and boasts striking Hindu and Islamic architectural features including elegant domes, recessed arches and ornamental vaults. 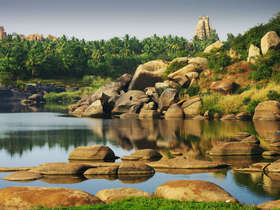 Accommodation at Evolve Back Kamalapura Palace Hampi is comprised of stylish and luxuriously appointed Water Zenanas (private pool villas) that are scattered around the hotel’s extensive grounds, and elegantly decorated Palace Suites and Palace Studios located within the property’s opulent ochre coloured main building. 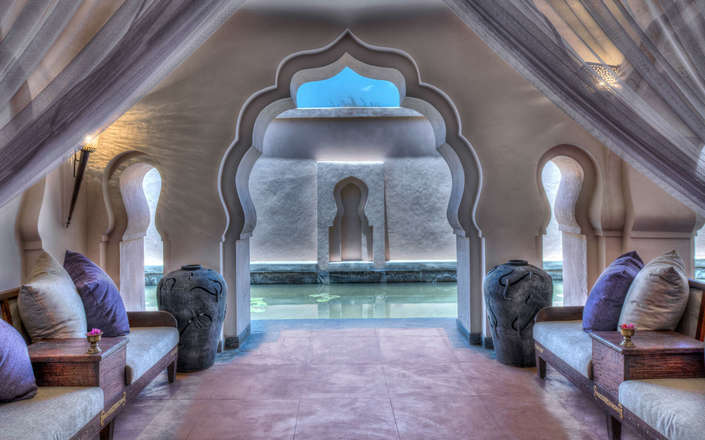 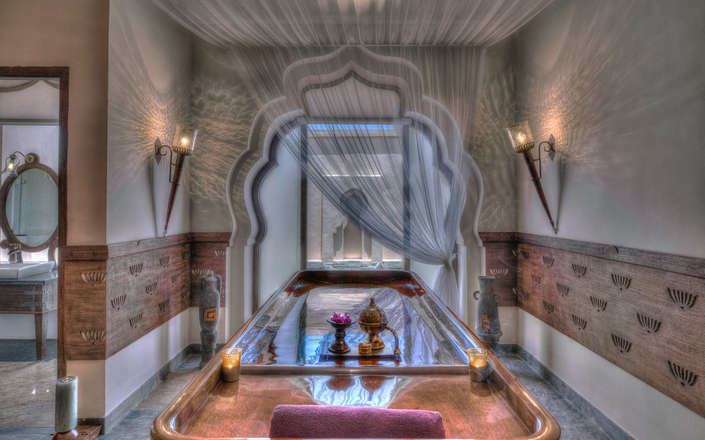 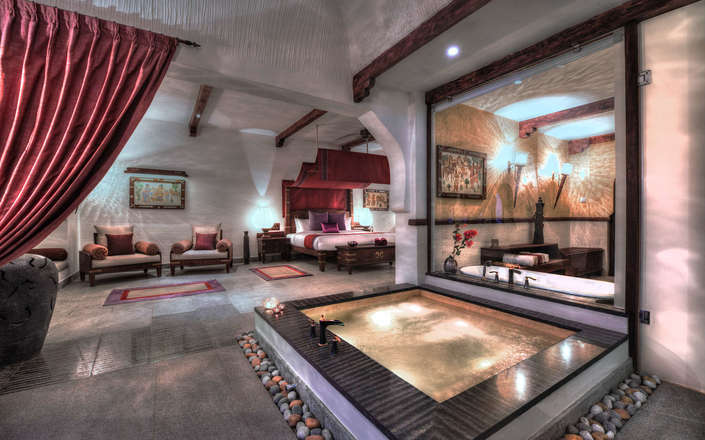 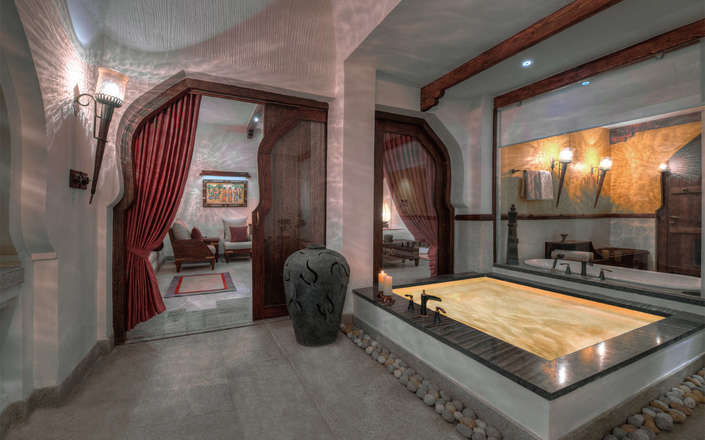 Facilities include a multi-cuisine restaurant, discreet private dining venues, bar, an infinity-edge pool, and a Spa offering traditional Ayurvedic massages. 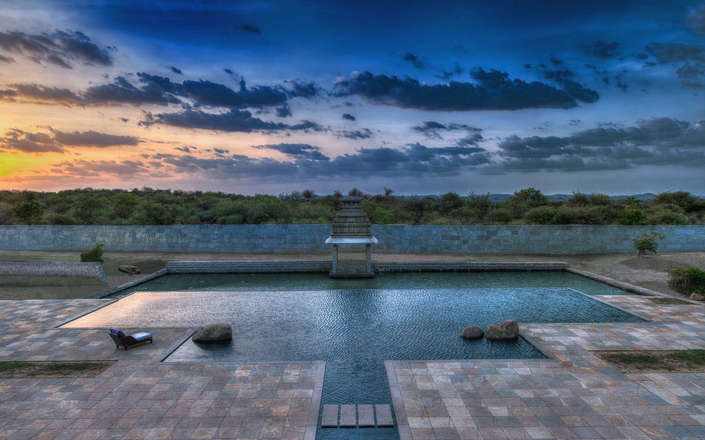 Evolve Back Kamalapura Palace Hampi is conveniently located twenty minutes’ drive from Hampi’s stunning archaeological treasures.